Lindsay and her husband Paul run this fabulous food-tour operation. This couple and their very knowledgeable guides provide fabulous 3-hour walking tours of the city that take participants to various restaurants and taco carts which are real hidden gems. 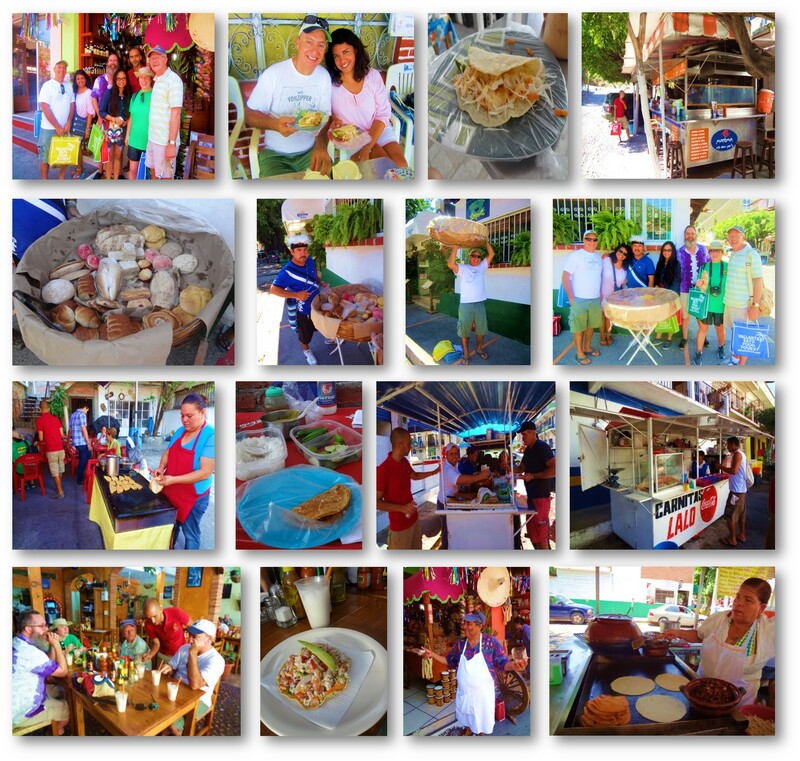 Each Puerto Vallarta eatery that’s highlighted during the tour has been carefully selected. Together the 9 restaurants chosen for food tastings offer the best examples of the region’s flavorful and unique cuisine. During the tour route the passionate and friendly guide shares a great wealth of information about Puerto Vallarta’s history, people and unique landmarks. Along with savory bites at every stop along the tasting route, you’ll have the opportunity to experience the beauty and vibrance of Puerto Vallarta and it’s food scene through the eyes of a local. Be sure to arrive hungry. The ticket price is $49 per person. All food tastings are included in the price of the tour. Gratuities for your guide are not included. My husband and I took friends with us on this food tour in January 2014, and they said it was one of the highlights of their trip! Vallarta Eats Food Tours with awesome tour guide Memo in Puerto Vallarta, Mexico. Vallarta Eats Food Tours was started by expat Eric Wichner to offer visitors to Puerto Vallarta the opportunity to eat like a local. Over the years, he and his team of expert foodies Memo, Ana Luisa, and Martha have led tour participants through the cobblestone streets of Puerto Vallarta to share their knowledge of this beautiful city to include it’s incredible food, culture and rich history. Restaurants visited on the tour stops are within the Romantic Zone and Colonia (neighborhood) Emiliano Zapata, which are situated in the heart of Puerto Vallarta. Current tours offered are: “Signature Taco and More” which is a 3-4 hour walking tour (about 1.5 miles) that stops at 10-12 locations (cost is $55 USD), and “Mole, Pozole and More” that lasts 3-4 hours and visits 4-6 locales on the 1-mile tour route (cost is $65 USD). A new tour “Totally Taco” will soon be added to the lineup; this new tour is sure to appeal to serious taco lovers. The combined tastings on each tour route are the equivalent to one large meal. Tours are limited to 6 persons, with larger groups accommodated upon request. Gratuities for the tour guides are not included in the tour ticket prices.